Marvel's 'Secret Wars' event is wiping out decades of continuity for an "All-New, All-Different" Marvel. Is it worth it? So how is Marvel destroying their universe? It’s called Secret Wars, and it’s 2015’s massive Marvel event. Every year Marvel comics do at least one big crossover event, but this one is arguably the company’s biggest ever, with only 2006’s Civil War being remotely comparable. Why does Marvel destroying its universe matter? This is big deal because one of the biggest claims that Marvel can make, especially over their rivals at DC, is that they have a 70-year continuity, and an unbroken story since 1961. The 1940s comics of “The Human Torch Vs. The Sub-Mariner” and Captain America punching Hitler in the face are considered part of the same world and story as Stan Lee and Jack Kirby’s Fantastic Four, Chris Claremont’s Uncanny X-Men, Brian Michael Bendis’ New Avengers, as well as any random Dracula comic from the 1970s or Wolverine cash-in from the 2000s. It’s an immense, glorious, chaotic mess; a grand cultural project. Yes, Captain America was introduced punching Hitler. Right, that is a huge deal. Why would Marvel break their continuity? It’s hard to answer any one of these without referring to the others, but here goes! How does Secret Wars call back to Marvel’s history? I think I’ve heard that name before…. Arguably the first modern crossover event in comics history was Marvel’s original Secret Wars, launched in 1984. The story was simple: a powerful entity known only as The Beyonder transports Marvel’s biggest heroes and villains to a pastiche planet called “Battleworld.” Then he makes them punch each other. (And sell toys.) While it was a sales hit, it was also pretty much pointless. A year later, DC Comics ushered in their massive crossover era with Crisis on Infinite Earths, a far more ambitious project that attempted to clean up all of its complicated continuity, get rid of things like “Earth-Two,” and usher in a new, more-accessible universe. The pattern has been set since then: Marvel uses its crossovers as excuses for punching at an even bigger scale, while D.C. struggles with its history in more and more confusing ways. The new Secret Wars combines both of these ideas, and what’s almost a writer’s challenge: the premise of the original 1984 series, with its pastiche world, massively powerful Beyonders, and Doctor Doom attempting to become a god; alongside the D.C. method of attempting to fix its complicated continuity. In-universe, the story is this: in order to save the mainline Marvel Universe, Doctor Doom, with the power of a god, created a world filled with the various slices of Marvel’s history, and they’ve been fighting it out for the past several months. If this sounds kind of awful, yeah, it would be in most cases. Happily for Marvel, the series is based primarily on the work of the one writer most-suited to building it: Jonathan Hickman. What is this epic science fiction story, and why is Jonathan Hickman the right person to write it? In 2013, Marvel gave the keys to the Avengers to Hickman. Since 2005, the Avengers had largely been under the control of Brian Michael Bendis, but the franchise had wobbled a bit since the conclusion of the Civil War era, with the mediocre crossovers Fear Itself and Avengers Vs. X-Men. Hickman was given two main series: Avengers, which followed Captain America and Iron Man’s attempts to make the core superhero team bigger and more capable of protecting the Earth from anything, and New Avengers, which took the traditional patriarchal heroes of the Marvel universe, and forced them to confront the potential destruction of everything they ever knew or loved. Both of these eventually combine to set the framework for Secret Wars. That sounds like a tough, intricate story to do well. It is! And Hickman’s writing style doesn’t help it not be heavy. He’s big on starting dense science fiction stories in the middle of their conflicts. He’s also big on planning endings throughout, so that his entire stories are laced with foreshadowing and twists. But he’s also really good at making these things pay off. In fact, he’s so good at it, that you can make an argument that there is a single Marvel Hickman story, running from 2009 through 2016. Wow, okay, explain the Hickman continuity, then! In 2009, Jonathan Hickman was primed to become the next writer for the Fantastic Four series. With his Fantastic Four: Dark Reign mini-series, he set the stage for a multi-year run focused on a multi-dimensional set of Reed Richardses who wanted to run their worlds and all worlds. Hickman’s best work tends to focus on the tension between incredibly smart/powerful men who think they can/should run the world, and the complications that arise when they actually do. That’s present in his Fantastic Four run, and becomes the dominant point-of-view in his Avengers work, which can be seen as the second part of his trilogy, with Secret Wars constituting the end of the trilogy. You might know Reed Richards from his movie appearances. That's probably unfair to both Reed and Ioad Gruffud, pictured here. The main character throughout is arguably Reed Richards, as the only hero to have a consistent, significant role in Fantastic Four, New Avengers, and Secret Wars. Reed — aka Mr. Fantastic, aka the stretchy guy from the movies — is, despite the general terribleness of the Fantastic Four films, one of the best and most important characters in the Marvel universe. He’s known as the smartest man on Earth, and is the leader of “Marvel’s First Family.” As such, he’s the ultimate dad of the Marvel universe — and one whose role as the patriarch has aged into interesting criticism. Both Hickman and Bendis have used alternate dimension Reeds to show just how easily his arrogance can turn to evil, up to and including an entire issue dedicated to a Nazi Reed. But the mainline Reed Richards has always been treated as a hero, and in many ways, Secret Wars and the overall Hickman story are about him proving that, despite every other Reed in every other dimension being a villain. The Reed Richards of the Ultimate universe, the villainous "Maker"
So how does the entire Marvel universe end? From 2012 on, the biggest Marvel comics all started to examine the idea that their world is fundamentally broken, leading to an apocalypse. Age of Ultron was a key story here — unlike the movie, it was less about the titular villain, and more about how time travel was tearing the universe apart. Writer Brian Michael Bendis continued this theme with his two X-Men Series, Uncanny and especially All-New, where the original teenaged X-Men are pulled forward in time. All of this seems to break conventional Marvel continuity. A Spider-Verse event also brought multiple dimensions of web-slingers together. Hickman’s New Avengers is entirely about this apocalyptic breaking. The story is that the Illuminati, a secret group of Marvel’s most powerful and theoretically wise heroes (Tony Stark, Reed Richards, Professor X/Beast, the Black Panther, Namor, Black Bolt, and Doctor Strange), discover that their universe is on the verge of extinction. What’s happening is that all of the different alternate universes are converging upon one another with the Earth at the center, in what’s called an “Incursion,” and one Earth has to be destroyed in order for the other to survive. As time goes on, the Illuminati become more and more desperate, resort to more destructive means, and eventually sell their souls, both literally and figuratively, before urgently seeking redemption. Hickman, at his very best, focuses on the corruption that good people face when confronted with difficult choices. New Avengers is a superb examination of those themes. In the end, the issue becomes not winning against the Incursions, but surviving them. A handful of heroes do so, alongside Doctor Doom, who builds the new Battleworld. Wait, so is this good? Yes! The intensely-focused science fiction that Hickman works with in both of his New/Avengers books coalesces into one of the best stories Marvel has ever done. New Avengers is about as good as a superhero comic can possibly get as it builds up steam, and Avengers, while chaotic and messy, provides some superb moments of its own. Midway through, they also combine into arguably the best modern Avengers crossover event, “Infinity”. Hickman, at his best, is also great at integrating superhero silliness into his operatic tragedies, especially when involving Valeria Richards, the tiny, maybe-evil, hyper-intelligent daugher of the Fantastic Four’s Reed and Sue Richards. For all of Secret Wars’ importance to the Marvel canon, it’s also filled with goofiness. So what is Secret Wars and Battleworld itself about? Basically, Marvel took the “pastiche” world of the original Secret Wars and turned it into a collage of its own history. So Battleworld is comprised of dozens of references to famous Marvel events as baronies of Doom’s kingdom, and they all have a comic mini-series telling their stories. For fans of the X-Men, the 1980s get a shout-out with an Inferno barony, the 1990s get Age of Apocalypse-land, and the 2000s have an E for Extinction area. The much-loved Runaways gets a revamp with students fleeing Doctor Doom’s training school. The Marvel Zombies are one of a few omni-present threats facing Battleworld, and so on. So Marvel and its current create teams are being given the chance to remix classic characters and stories. When they work well, it’s a lot of fun, and can let some beloved indie comics creators play with the Marvel canon, like Noelle Stevenson with Runaways. When they don’t, it’s a set of disconnected references, but largely consequence. Marvel even created a a map of "Battleworld" with each of the 41 baronies representing a slice of its history, most with connected a mini-series, like New Xandar, home of the Nova Corps, being the focus of the 'Infinity Gauntlet' series. As for the main series, it involves the survivors of a multiversal apocalypse finding their way onto Battleworld, figuring out what’s going on, and presumably, remaking the Marvel universe with its pieces. It’s a little anti-climactic, because we’ve already started seeing Marvel’s relatively unchanged “new” universe in the All-New, All-Different books that have launched in the past month. But with a massive penultimate issue this week, and the conclusion in January, we’ll see how it all ties up. The handful of survivors from existing Marvel continuity include: Doctor Strange, the Molecule Man, and Doctor Doom, who took the power of the Beyonders in order to save what he could of the universe and make Battleworld. Ten years since that event, the survivors of the main universe show up, including Black Panther, Namor, Reed Richards, Spider-Man, the new Thor, Star-Lord, and Captain Marvel. They’re joined by a collection of villains led by Thanos, and two survivors from the Ultimate Universe, the villainous version of Reed Richards known as “The Maker,” and Miles Morales, the Ultimate Spider-Man. You’ve mentioned this Ultimate Universe a few times. What’s the big deal? This is where it starts getting complicated. In destroying its various alternate universes, Marvel is also cleaning up a lot of its publishing history. Specifically, they’re finally ending the Ultimate universe, which, in the early 2000s, was one of their biggest successes. The Ultimate universe was built on the idea that superheroes, swept free of old tradition and continuity, and given modern, edgy, cinematic tones, could be successful. And they were right: Ultimate Spider-Man and The Ultimates were huge successes, helping pave the way for the Marvel Cinematic Universe. But over time, they collapsed under the weight of their own once-new continuity, with pointless nihilistic violence in series like “Ultimatum” and “Ultimate Avengers,” turning the once-promising world into a disgusting muddle, and fans deserted in droves. After a few failed attempts to revitalize the brand, an excuse was needed to bring the best parts of the Ultimate universe — most notably, the teenaged, bi-racial Spider-Man Miles Morales — into the mainline 616 universe. Secret Wars provided that justification. Secret Wars is also giving the Ultimate universe’s biggest writer, Brian Michael Bendis, the opportunity to say goodbye to a setting he defined more than anyone, as the writer of the Ultimate End mini-series. Jonathan Hickman, too, has a history in the Ultimate universe, with his Ultimate Thor and Ultimates stories helping salvage the universe a bit after the disasters of the late 2000s. You mentioned diversity earlier, and now Miles Morales. Is this relevant? Marvel’s new flagship Avengers series, All-New, All-Different Avengers, has a majority of these diverse heroes. These are some of the biggest brands in all of Marvel, and shifting them away from being older white males is often a sales success. Secret Wars isn’t directly involved in all or even most of these — but in Hulk’s case, for example, it helps justify the sudden change. The best example may be A-Force, started as a team of all-woman Avengers in Secret Wars and becoming a regular ongoing series. The All-New, All-Different Avengers squad. Includes Miles Morales as Spider-Man, Kamala Khan as Ms. Marvel, the new female Thor, and Sam Wilson, the former Falcon as Captain America. It’s also been a demonstrably good business decision for Marvel to diversify its hero cast, as digital comics sales have shown a market for it. Most of this sounds good! Is there anything negative about “Secret Wars” and its effects? Well, I hope you’re not an X-Men fan. Here’s where the business interests and creative interests get messy. Thanks to selling the licensing way back when, Marvel doesn’t actually have the movie rights to the X-Men or the Fantastic Four. Those belong to Fox, which (unlike Sony with Spider-Man rights) has been less than willing to negotiate with Disney to integrate these Marvel heroes into the MCU. That may be totally irrelevant background, but it’s a background that’s hard to ignore when Secret Wars effects seem to be cancelling the Fantastic Four series (for the first time since 1961) and severely downplaying the importance of the X-Men. Most egregiously, one of the in-universe reasons for the X-Men’s withdrawal has to do with them being in conflict with the Inhumans, a different, historically less-popular genetically powered group. The Inhumans have an MCU film scheduled for a 2019 release. Now, there could be reasonable explanations that aren’t “Marvel wants to prioritize the things that make them movie money.” The Fantastic Four, while utterly essential to Marvel’s history, haven’t been big sellers in a long time, and Secret Wars looks like it may be functioning as a goodbye to both the team overall, and especially Hickman’s take on Reed Richards. Marvel's Inhumans. Not quite the X-Men. The X-Men are more complicated. In the last decade, they’ve engaged in a dense, dark, highly serialized, and often inconsistent story about mutants almost going extinct, and Cyclops turning into an anti-hero. While often creatively fruitful, it was also an increasingly difficult sell, particularly with the Avengers offering a much simpler gateway into superhero comics. So this is all about Marvel doing what’s best for Marvel? Of course, though that’s not necessarily a bad thing. Part of the fun of comics is seeing how creative choices are made around cold business calculations. That said, Marvel knows two things at this point: that massive crossovers sell; and that, after the initial sales success of DC’s New 52 initiative a few years ago, promising a shiny new continuity-light universe to get new fans in sells as well. And yet All-New, All-Different Marvel is off to a strong creative start, especially after the last few years have lost a lot of momentum. Rising star Al Ewing is writing two major team books, the widely-praised Ultimates as well as the intriguing New Avengers. Bendis seems rejuvenated in writing Tony Stark in Invincible Iron Man. And Greg Pak is back with Totally Awesome Hulk and the Amadeus Cho character he’s done so well with. The new Invincible Iron Man. Bendis' writing always seems best with solo heroes, and David Marquez's art is charming. Right, I want to read it. What’s the reading list? This one’s quite simple. 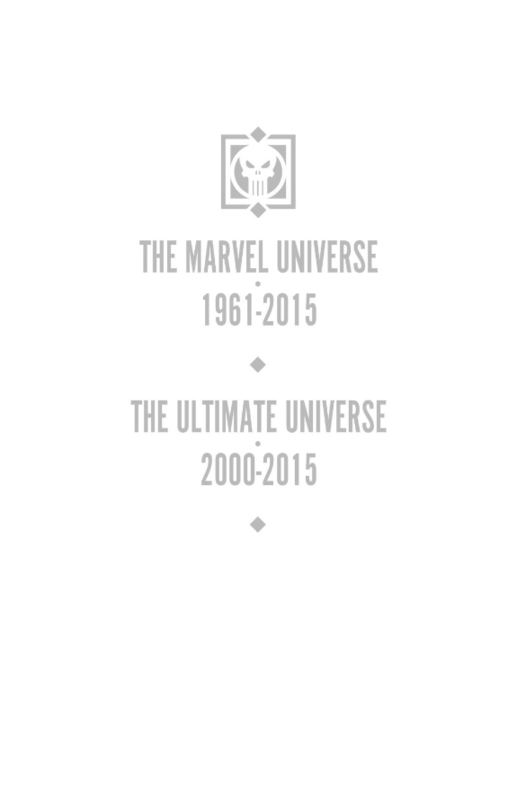 The mandatory series are: New Avengers, Avengers, Infinity, Secret Wars. For a fuller experience: Fantastic Four: Dark Reign, Fantastic Four (2009), FF (2010), Avengers World, Secret Wars Journal, Secret Wars: Battlegrounds, Siege, Thors, and whatever of the grab-bag strikes your interest.